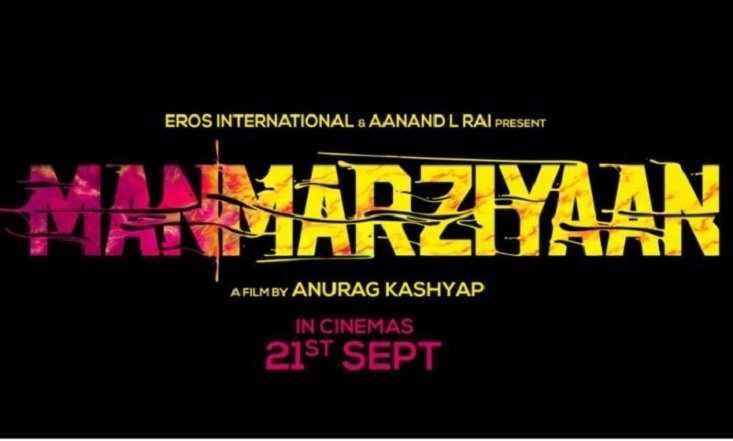 "Manmarziyaan" seems like a derivative of the 1999 released Sanjay Leela Bhansali's "Hum Dil De Chuke Sanam", or the numerous love triangles that one witnesses in Hindi cinema where the girl falls for a loving but irresponsible, commitment-phobic and then settles for a sober, "husband material". The only thing that makes this film unique are Director Anurag Kashyap's sensibilities. Set in Amritsar, Rumi (Taapsee) an orphan living with her Grandfather and uncle's family is a bold girl who is unabashedly in love with Vicky also known as DJ Sandz (Vicky), who is a total narcissist, self-absorbed and a loser of sorts. Despite this, he is likeable. He is in his own world of music, where he literally mixes leading songs of every musician he finds. But when it comes to love, he professes to love her intensely and passionately. One never quite understands what Rumi sees in him besides the physical. She, an ex-hockey player lives life on her terms, and is effervescent and raw. They have a bohemian affair, having so much fun with each other. In fact he sneaks into her bedroom and the fun becomes almost a tangible thing; you can witness on the screen that they like each other, and so cross boundaries brazenly. When they get caught, Rumi's aunt insists that they marry her off. Rumi is nonchalant, not realising that Vicky is commitment phobic, she confidently proclaims that Vicky would come the next day with his parents to ask for her hand in marriage. From thence their relationship vacillates till Robbie (Abhishek) a London returned banker in search of a bride, lays his eyes on Rumi and they marry. Infatuation, lust and love are emotions that are handled with equal fervour. There is a lot happening and it happens so charmingly and with such quick spirit and wit, that it's enough to keep you hooked. But here, in a predictable story with one easily anticipated development after another, it is the strong cast in the lead, including great chemistry between the trio that keeps "Manmarziyaan" from totally derailing. With a punkish get-up inclusive of spiked hair and colourful t-shirts, Vicky as usual, sweeps you off your feet with his mesmerising charm and path-breaking performance. He is a delight to watch. Taapsee as Rumi is natural, has a strong screen presence and is every inch Rumi - spunky and brutally honest. Abhishek as the silent but strong loving husband steals the show with his restraint performance making the audience empathise with him. His performance in the scene of his angry outburst is worth a mention. Other character actors lend able support and the characters are well-etched. The songs are used to propel the narrative forward and break the intensity of the drama. The background score with quintessentially Punjabi flavours, is however deafeningly loud and at times uncalled for. Overall, "Manmarziyaan" is a love story treated with a difference and it is the performances that keep you glued to the screen.